You are a global company and you need a global expense management solution in order to keep thriving. Your company operates in countries around the world, with travellers who work from different time zones and must go beyond the language barrier while paying attention to different currencies. You need your employees to comply with local policies as well as corporate policies. More and more global companies are using MobileXpense to improve travel and expense management, and there are seven main reasons why it is truly a global expense management solution. Our global expense management solution is available in 33 languages. Beyond that, you can create a custom dictionary with terminology that is specific to your company or field of activity, which is a big plus when it comes to getting a tailor-made expense management software. Our customers use the MobileXpense solution in English, German, French, Dutch, Swedish, Spanish, Italian, Portuguese, Polish, Russian, Japanese, Chinese, Czech, etc. We can set up additional languages very rapidly and every end-user can choose his or her preferred language for alerts or automatic messages in the app. Being a global solution, MobileXpense ensures cross-entity reporting for all your data even when languages and terminology differ among your offices in different countries. Our global expense management solution supports 170+ currencies and we upload exchange rates daily based on xe.com or National Banks for countries where exchange rates are nationally regulated. Every time you require an exchange rate calculation, our app will take care of it automatically so that you no longer need to struggle with exchange rates when travelling or checking an expense report. In order for you to enjoy the benefits of your expense management solution as soon as possible, MobileXpense offers a cloud-based application that is easy to set up. The implementation process process can last as little as a few weeks. You can be sure that your cloud-based application is easy to operate, because MobileXpense ensures that the app is adapted to your needs and working style. We offer everything your company needs from hosting to support, and you will never have to worry about interfaces. MobileXpense's mobile application offers the required support for a dynamic company like yours, ensuring the best possible experience for travelling employees by offering a new way to manage travel expenses on the go. The app can be installed on any mobile device that works with Android or iOS operating systems. Once the mobile app is installed, your business travellers can create expenses, enter mileage or allowances, create expense reports and obtain approval using the mobile app named SpendCatcher. 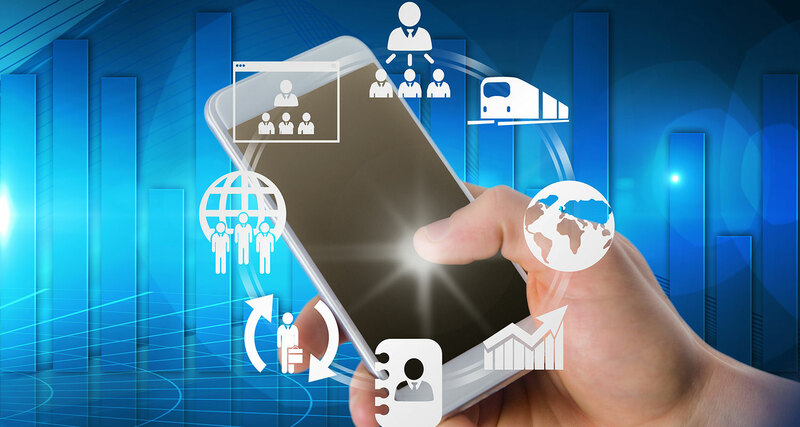 The mobile app brings numerous benefits to your employees and your company. You will start to notice a decrease in human errors and the time spent submitting receipts, as well as a decrease in the time spent checking and correcting reports, while the satisfaction and the efficiency of your employees will increase. At MobileXpense, we want to support all your expense management processes with flexible solutions, which is why we offer integration with your preferred partners. Our company is an open partner that understands that managing expenses usually involves several third-parties which may differ within the same group. In order to offer you a global expense management solution, we ensure effective integration with ERP systems, payroll and HR systems, your preferred travel agencies or online booking tools as well as credit card issuers. You want to improve productivity and efficiency in your company while keeping expenses as low as possible. Compliance with the expense policy plays an important role in achieving this objective. Choosing and implementing a global expense management solution means your company is preparing the corporate travel policy of the future. MobileXpense helps you automate compliance with the internal rules and travel policies. Based on your needs, our solution helps you automate approvals, set warnings and even prevent expense processing according to the expense management policy applied in your company. Along with corporate policy compliance, MobileXpense helps you comply with local regulations in more than 80 countries. As multiple functions are automated, it is much easier for your managers, controllers and employees to be aware of and comply with local regulations. With MobileXpense, your company is able to manage mileage, allowances, DSA rates, VAT and exchange rates directly from the app. Over 80% of our customers have entities in multiple countries and, among those, 61% use our solution on more than one continent. All our clients enjoy the global expense management solution implemented by MobileXpense and they achieve their goals in short order after starting to use our app. Our consultants and specialists are ready to offer you their knowledge in expense management software and business efficiency, so we invite you to learn more about our solution below.